As the Syrian Army, supported by the Russian Air Force, is on the verge of breaking the Islamic State (IS, former ISIS/ISIL) siege of the city of Deir ez-Zor, RT takes a closer look at why this battle could become the beginning of the end for the terrorist group. The Syrian Army also drove Islamic State terrorists out from their positions near the road connecting Palmyra and Deir ez-Zor, the ministry said. 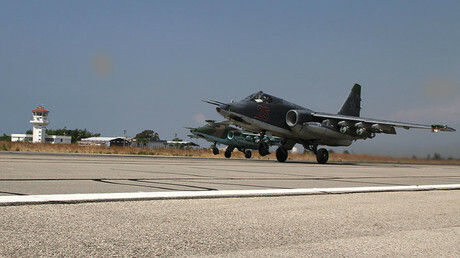 Russia continues to lend air support to the Syrian forces. In their most recent 80 sorties, the Russian Air Forces destroyed “two tanks, three infantry fighting vehicles, and more than 10 all-terrain vehicles with heavy weapons mounted on them. The terrorists lost more than 70 people," the ministry said. “Crushing Islamic State forces in the Deir ez-Zor area and lifting the blockade of the city will signify a strategic defeat for the international terrorist group in the Syrian Arab Republic,” the statement says. 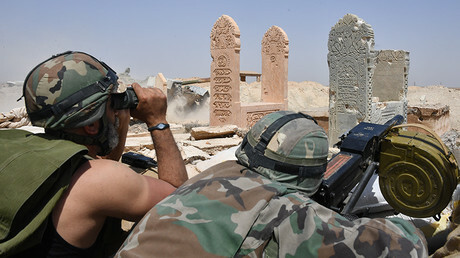 Islamic State defenses on the outkirts of Deir ez-Zor are effectively collapsing, Syria's SANA news agency reported, with the Syrian Air Force successfully destroying Islamic State headquarters in the Hweika neighborhood in the city's west, killing at least nine terrorist commanders, and inflicting heavy losses on the jihadists in the villages of Ayyash and Shmeitiyeh, forcing many to flee or surrender. According to some reports, the units of the Syrian Army advancing on the city from the west are just 10 kilometers away from a military base of the government forces located in a western neighborhood of the city. Retaking Deir ez-Zor is of great importance for the fight against Islamic State in no small part due to its strategic location. 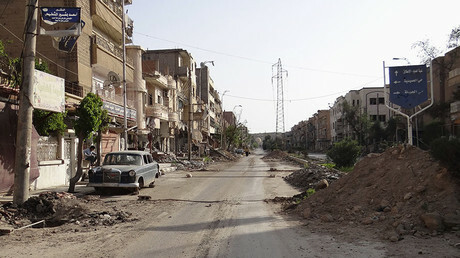 It is the largest city in eastern Syria and the seventh-largest city in the whole country. Deir ez-Zor and the surrounding governorate of the same name are located on the Syrian border with Iraq, so, if captured by the governmental forces, they will leave Islamic State terrorists effectively trapped in the heart of Syria in their only remaining stronghold of Raqqa. “It is the last staging point for this terrorist organization, there are no other huge cities or major towns” in the area controlled by Islamic State, Martin Jay, a Beirut-based journalist, told RT. He also said that the liberation of Deir ez-Zor would be a “turning point” in the Syrian war. “Once the city is taken and the surrounding area is flushed out of ISIS fighters we can really start to talk about the end of the war and about a new chapter of possibly restoring peace in [Syria],” he said. Liberating the city would also give the governmental forces strategic advantage over the terrorists as it will “provide Syrian armed forces and their allies with a really stable foothold in this part of northeast Syria,” geopolitical analyst Patrick Henningsen told RT. The terrorists also apparently understand the strategic importance of Deir ez-Zor as they repeatedly pulled their strongest units and heavy weapons to the area, preparing for the last stand, according to the Russian Defense Ministry. “The remaining [terrorist] forces are heading there. According to our data, militants from Mosul [in Iraq] moved there and the most battle-ready units from Raqqa,” General Sergey Rudskoy, spokesman for the Russian General Staff, said in late August. The extremists’ efforts have so far been futile as the Syrian Army supported by Russian warplanes already defeated "the most capable and best armed group of ISIL in the Euphrates River valley,” according to the Russian Defense Ministry. 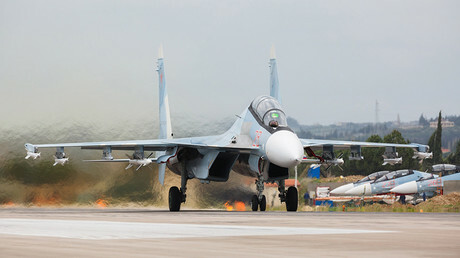 In the battle that took place on August 27, 800 terrorists and dozens of vehicles and heavy weapons were destroyed by the Syrian forces actively supported by Russian aircraft, the ministry said at that time. On September 3, the ministry said that “the last major pocket of terrorist resistance in central Syria has been eliminated” during the battle over the strategic town of Akerbat in Hama governorate. “The operation to destroy a large group of Islamic State fighters in the eastern part of the Hama province was carried out with the active support of the Russian Air Force” that destroyed terrorist strongholds and their armored hardware as well as IS artillery positions, control points and communication outposts, the ministry said. A day earlier, Moscow said that once the Deir ez-Zor blockade is lifted, the terrorists’ strategic defeat in Syria will be imminent. In mid-August, the Russian defense minister, Sergey Shoigu, said that the fall of Islamic State in Deir ez-Zor would signal the end of the extremist group. This assessment was also shared by the UN special envoy for Syria, Staffan de Mistura, who said on September 1 that he expected the remaining Islamic State strongholds to fall within the next two months. “What we are seeing is in my opinion the beginning of the end of this war… what we need to make sure is that this becomes also the beginning of peace,” the diplomat told BBC radio. Apart from its strategic importance for the military defeat of IS, ending the siege of Deir ez-Zor would also have a significant economic effect and become a great relief for thousands of people currently trapped in the city surrounded by jihadists. Deir ez-Zor is the capital of an oil-rich eastern Syrian province and the center of the Syrian oil industry that once served as a source of wealth to Islamic State as it captured the area and besieged the city. Depriving terrorists of these resources would be another significant blow for the extremist group. 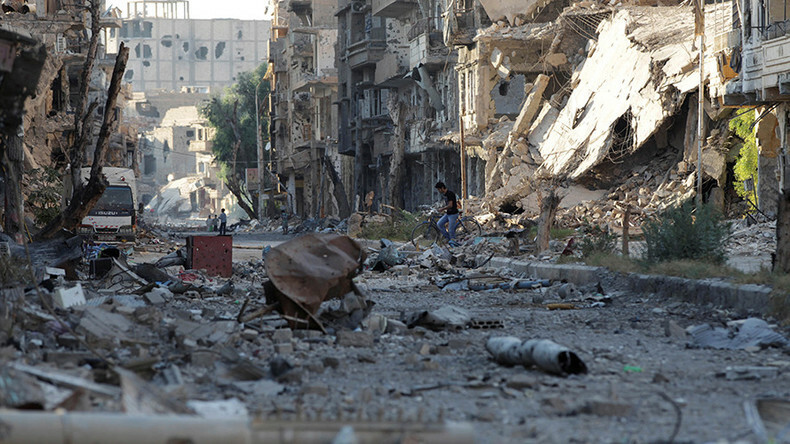 It might also be one of the sources of revival of the Syrian economy following the end of the war. Some of the oil and gas fields in the province have already been liberated as the Syrian Army was pushing forward toward the city. A key Euphrates city, Deir ez-Zor has been under terrorist siege for two and a half years, after being cut off from government-held areas in May 2015 during the jihadists’ offensive on Palmyra. Islamic State terrorists effectively blocked all commercial and humanitarian access into the city, trapping hundreds of thousands of civilians with little or no means to survive. Between 93,000 and 125,000 civilians are still reportedly trapped in the city, living under appalling conditions, according to different estimates. The surrounded city, alongside a neighboring military base and airfield, have since been supplied with food and ammunition via airdrops by Russian and Syrian transport planes and helicopters. “May God make them victorious, and may He make ISIS humiliated. May God make us free of (ISIS) by the will of our army. I salute our army and president,” one resident told RT in August. “We wouldn't have sat here without the Syrian Arab Army, we are sleeping while the army is protecting us,” another civilian added. Encouraged by reports that the lifting of the blockade was days away, the people in the city celebrated the news late on September 3.